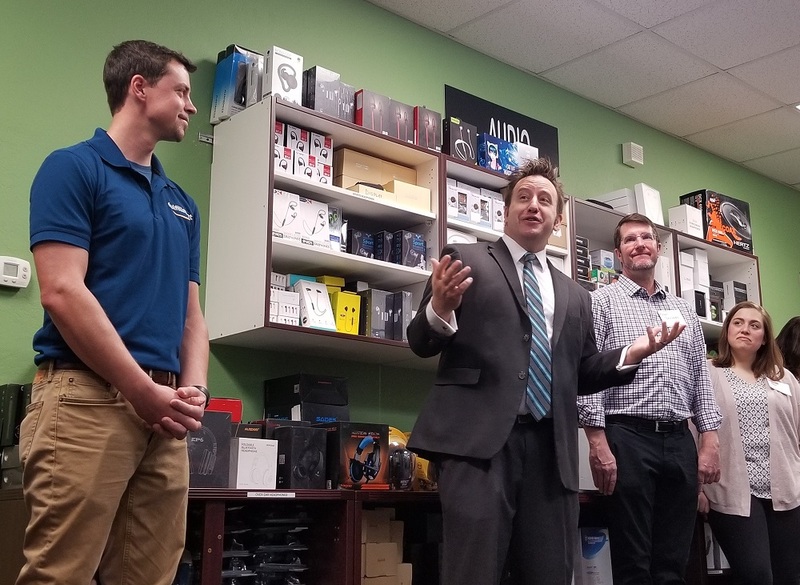 Teachers from across the Valley got a sneak preview on April 2, 2019, of the Maricopa County School Superintendent’s STEM Resource Center, a new facility offering teachers and schools within Maricopa County free STEM materials provided by Amazon. Along with the materials, the center offers training to integrate new approaches to lessons in science, technology, engineering and math (STEM). 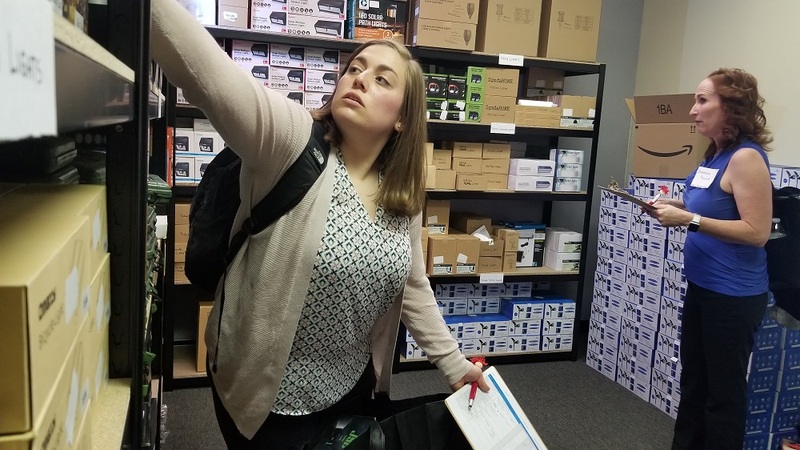 The teachers from Deer Valley Unified and Phoenix Elementary School districts toured the 6,000-square-foot resource center in Phoenix, attended a hands-on training session and had the opportunity to “shop” for STEM materials to use in their classrooms. 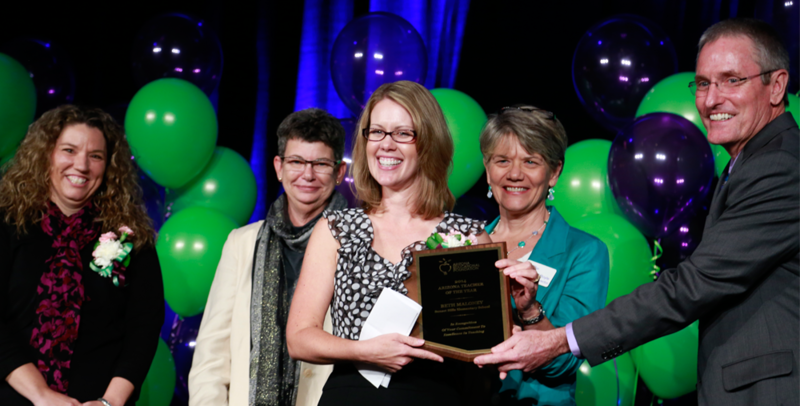 Since 2018, Amazon has donated thousands of STEM-related products to support Valley teachers. 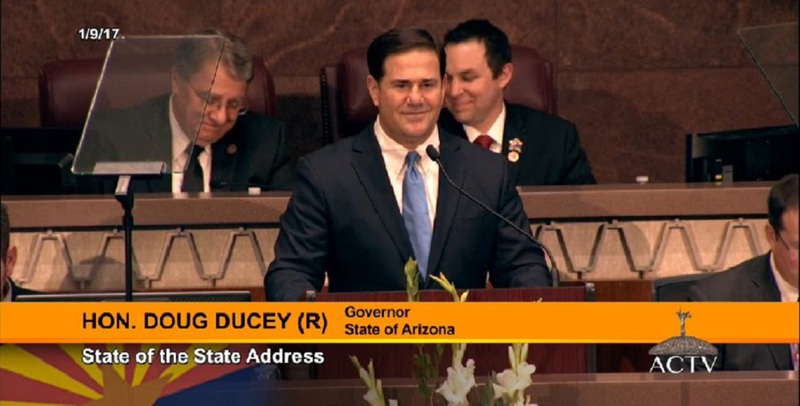 The Maricopa County School Superintendent Steve Watson then distributes those items to Makerspaces, science programs and STEM labs within the county. 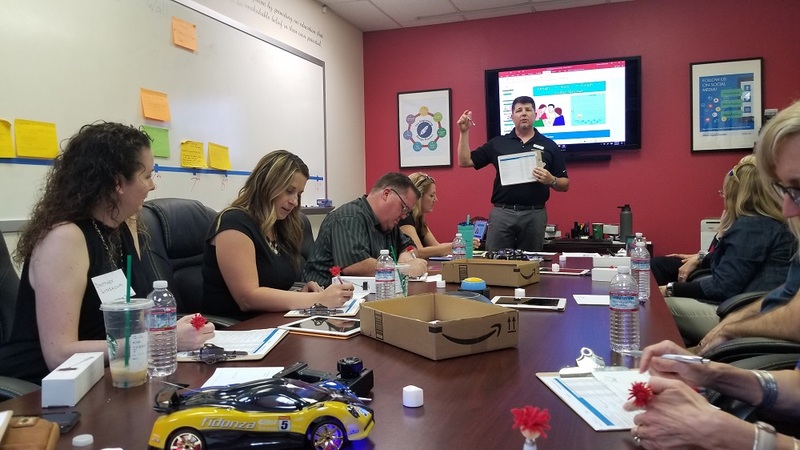 Using the materials donated by Amazon, educational experts at the STEM Resource Center thoughtfully bundle items together to create innovative strategies for teachers to engage with their students and inspire STEM learning. 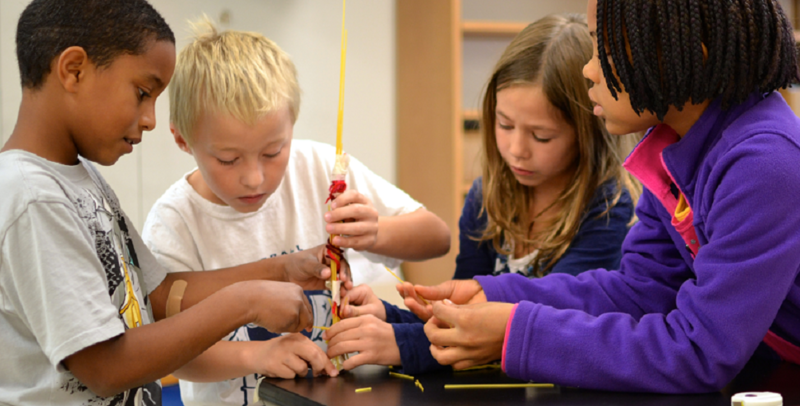 They offer free 90-minute trainings to instruct teachers on how to use the donated STEM materials to build authentic challenges that will engage their students. After the training, teachers can choose materials and resources from the center to take back and use in their classrooms. 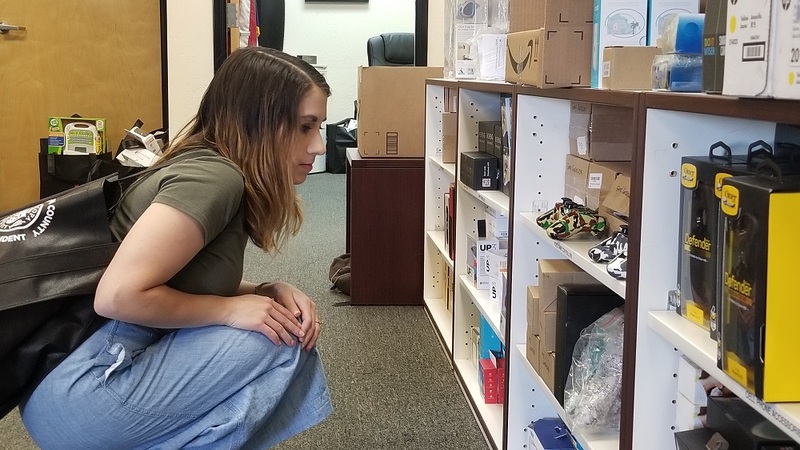 Cristina Cimino, 3rd Grade teacher at Canyon Springs STEM Academy, uses inspiration from the morning’s STEM training to pick out materials to complement her lesson plans. Photo courtesy Amazon.com. 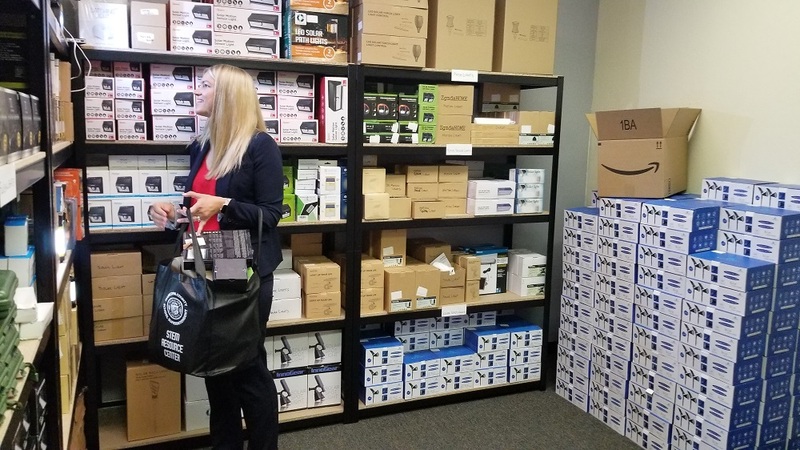 To date, more than 2,000 teachers have benefited from Amazon’s donation through a variety of tactics offered by the Maricopa County School Superintendent, including online giveaways, STEM “challenge” boxes, Solve It Challenges, and boxes of materials delivered directly to schools to use in their Makerspaces. Teachers can find more STEM learning information and resources at www.schoolsup.org. The Office of the Maricopa County School Superintendent is led by elected Superintendent Steve Watson. The office is statutorily responsible to provide services supporting school governing board elections, bond and override elections, appointments, school finance, and maintain homeschool and private school records. The superintendent leverages the office to strengthen teacher voice, increase respect for the education profession, and create resources that expand the capacity of teachers, administrators, and support staff. The superintendent also oversees the Maricopa County accommodation district.